Low temperature paints, primers and repair materials which can be applied at sub-zero temperatures as low as -35 °C are available to buy today at Rawlins Paints. These specialist products are also known as cold-set paints, cold weather, or winter grade coatings. 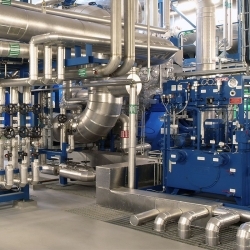 Essentially and importantly, these paints can cure at low temperatures – such as in cold storage facilities, industrial, coastal structures, pulp and paper plants, bridges and offshore environments, food manufacturing plants, and strictly monitored temperatures at chemical handling facilities – where there are no options to climatize the environment to standard room temperature and where one-coat systems are preferred. This greatly reduces any downtime required when performing maintenance upgrades or repair work to flooring or metal structural surfaces. There are some standard and commonly used floor paints at Rawlins Paints which are also available in winter grade versions – for a more uniformed colour finish across different environmental areas, such as walk in freezers and the accompanying restaurant kitchen floor. In the same way that heat resistant paints need to protect surfaces and substrates in high temperatures, cold-weather, or winter grade paints need to do the same in much colder conditions – often in sub-zero, freezing internal and external locations. Extremely cold conditions can prevent standard paint from drying at all, as opposed to heat, which can dry it too quickly. 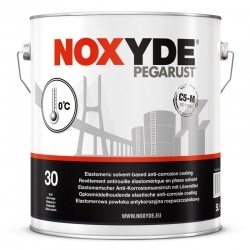 A winter grade epoxy coating for application at temperatures down to 0°C. Two-pack, glossy epoxy coating for metal, walls and floors. The most efficient epoxy system providing a very hard coating with high layer thickness for lasting results even with a single coat application. Rust-Oleum’s strongest coating ever, based on the latest rapid curing polyaspartic technology for inside or outside use. 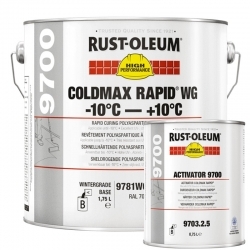 This makes Rust-Oleum 9700 Coldmax Rapid (Wintergrade) ideal when extra protection against traffic and chemicals is needed. 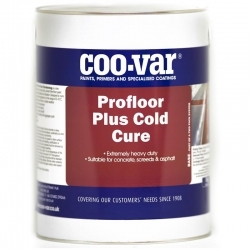 This versatile coating can also be used outdoors and in cold rooms and freezers. International Interzinc 52 (Winter Grade) is supplied with a winter grade curing agent to enable more rapid cure at lower temperatures. A two component, metallic zinc rich epoxy primer which complies with the composition and performance requirements of SSPC Paint 20. Rust-Oleum 9996 Rust-O-Thane Accelerator is a special additive to reduce the drying time of the Rust-Oleum 9600 Rust-O-Thane Polyurethane. 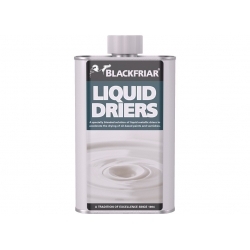 A specially blended solution of liquid driers formulated with no added lead, when added to paint it speeds up drying of most conventional oil-based decorative paints, polyurethanes and varnishes. Use in the winter or in very cold exposed positions. 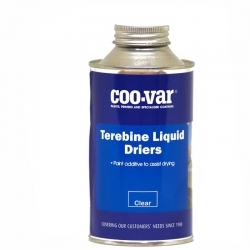 An additive to assist the drying capabilities of most paints. Helps paint dry in cold winter months. Use sparingly (e.g. about 2% by Volume). 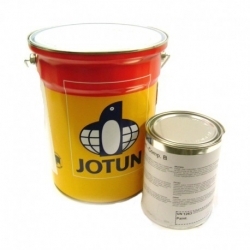 Jotun Jotamastic 80 WG (Wintergrade) is a two component polyamine cured epoxy mastic coating that is a surface tolerant, high solids product. Specially designed for application at lower temperatures to facilitate faster curing times on areas where optimum surface preparation is not possible or desired. These specialist coatings differ from common interpretations of cold-weather paints, which are designed to be applied to masonry, for example, in the winter months. Manufactured by Rust-Oleum, Jotun, Coo-Var, Sika, and Sherwin-Williams, amongst others, for industrial purposes, these coatings are some of the highest performing and protective coatings available at Rawlins Paints. Paints and coatings which aren't specifically manufactured and developed with low temperature application in mind can have disastrous results if used in environments which are too cold for them. Not only can the product become thicker and difficult to apply, it can impair the overall performance of the product long term. Therefore, it is advised that a purpose-made low temperature paint is used to get the full benefits from a new floor paint system. A common ‘problem’ with cold storage units is the lack of ventilation. 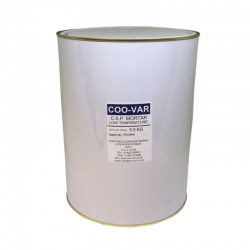 Many products we offer are solvent free for this reason, however all coating application will require a degree of personal protection and breathing apparatus and it must be used when advised to do so in a product’s data sheets. The moisture content of a substrate and the dew-point can also affect drying times and application temperament. Dew-point meters are available at Rawlins Paints to check the environmental conditions before beginning any works. A number of Jotun products meet the requirements of UK Highway Agency Item 115 and 116 for use on bridges and highway infrastructure. These exterior coatings can be used as a primer, mid coat or finish coat in single coat systems, and applied as in sub-zero temperatures in properly prepared carbon steel, galvanised steel, stainless steel, aluminium, concrete, and a range of aged coating surfaces.